If you like to read, there’s nothing better than getting books for FREE! 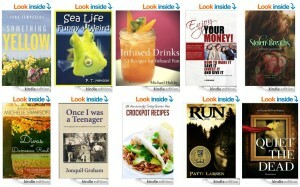 Here are just some of the free Kindle downloads you can get from Amazon.com. Thanks to Pandora’s Deals for compiling this list! These books are for the Kindle only so if you don’t have a Kindle be sure to download the correct Kindle version for your reading pleasure. Kindle is available on the following platforms: PC, Android, Blackberry or iPhone or iPad, or WebOS.